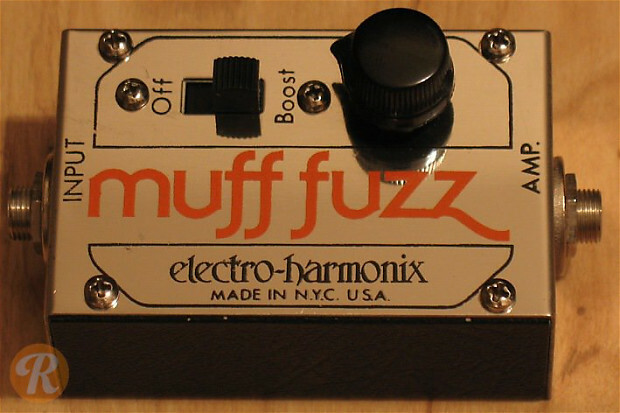 The Fuzz Muff was a smaller entry in the expansive Muff series from EHX. This pedal functions as a fuzz and line boost. It is less sought-after than larger, full-form Big Muffs from this era.